Tattoos have become diversified in terms of their design. Currently there are so many designs that are being used symbolically to bring out some meaning. 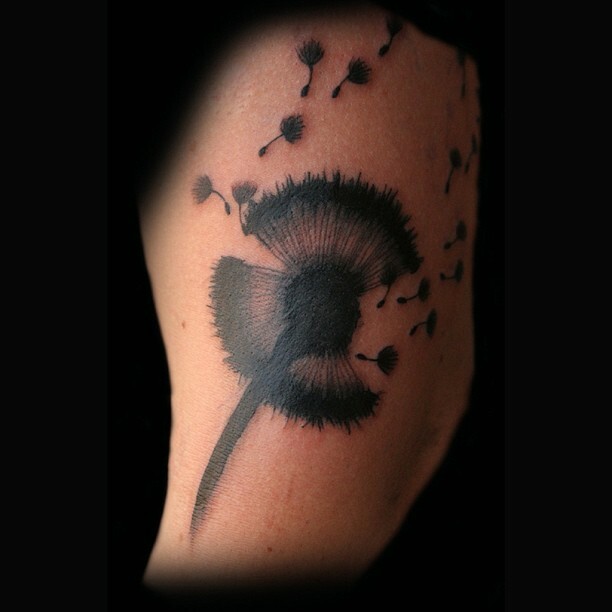 One of the upcoming designs that is becoming so popular among women and some men is the dandelion tattoos. Dandelion is a plant that survives and multiplies easily in different climates. When most of the people see this plant they are reminded of their childhood when they could hold it and release it to see it fly away. Dandelion tattoos may not have a specific meaning since different people use them as a symbolism of different meanings. For example, due to its tenderness nature, some people use it to remind them of their childhood. Moreover, they are very delicate and one has to hold them carefully. This aspect is used to symbolize innocence. The fact that dandelion is not impressive in terms of color its shape that reflects unique geometry is used to symbolize inner beauty. Some people who are born in areas where dandelions are very many, a dandelion tattoo would remind them of their homeland. Therefore, these tattoos have diverse meanings and it all depends with the person who has worn them. In fact some just wear them because their look is amazing and quite impressive. 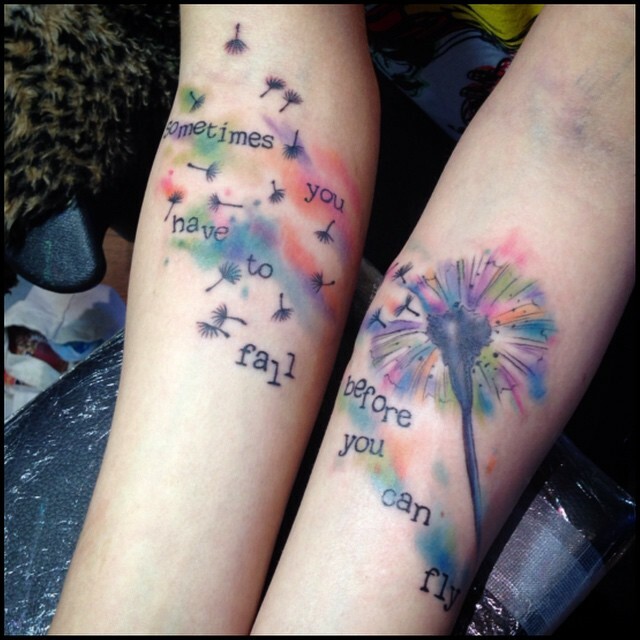 There are various types of dandelion tattoos. Below is a description of some of them. This tattoo is mainly drawn on the wrist of a person. A big dandelion is drawn accompanied by small seeds flying out of it. As discussed above, this tattoo’s meaning depend on the person who has worn it. It could have a meaning of hope or it could just be reminding someone of his dreams during childhood. 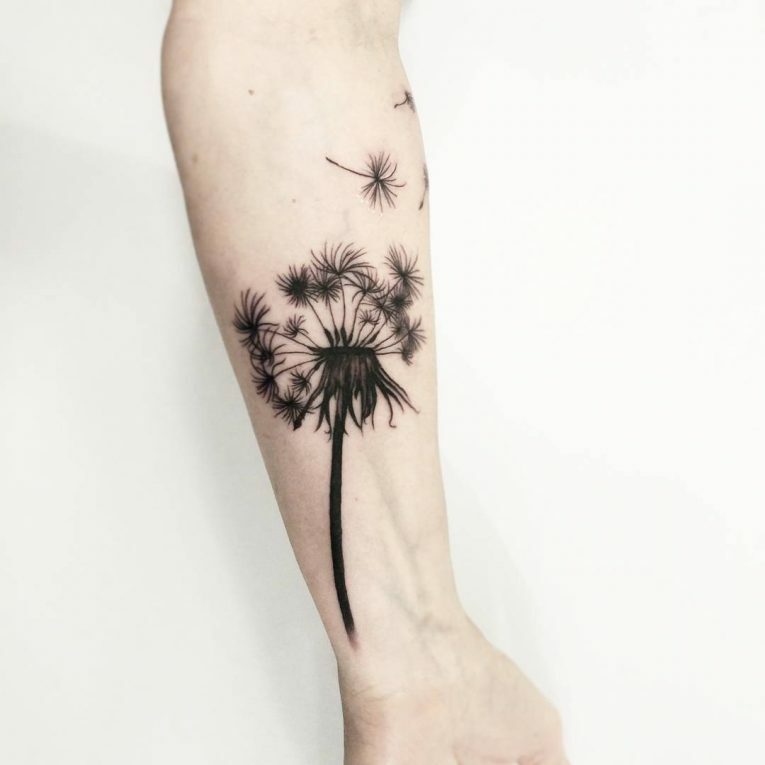 This is another impressive type of dandelion tattoos. 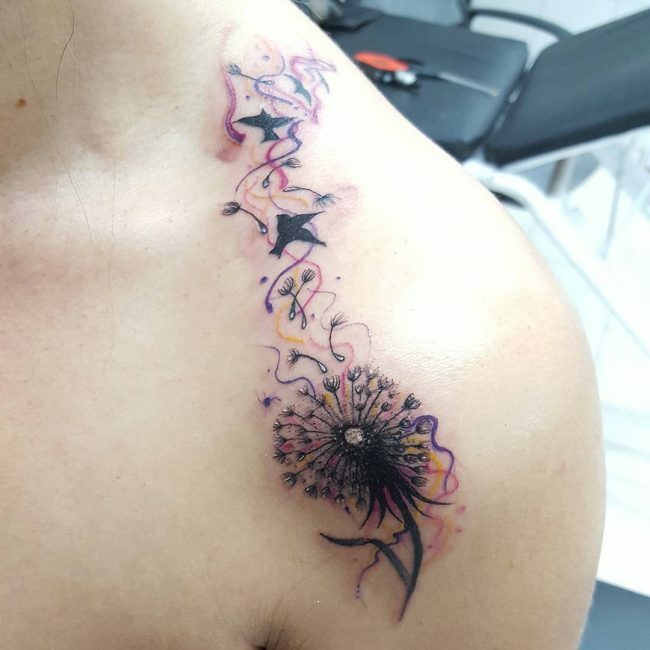 It is designed by having a dandelion drawn at the back of on shoulder. On top of the dandelion, its wings are drawn flying out of it flying toward some birds in a line. The tattoo formed is so beautiful and it looks so great especially when done on a lady. In fact, this is the most popular design whereby dandelions are shown turning in to birds. 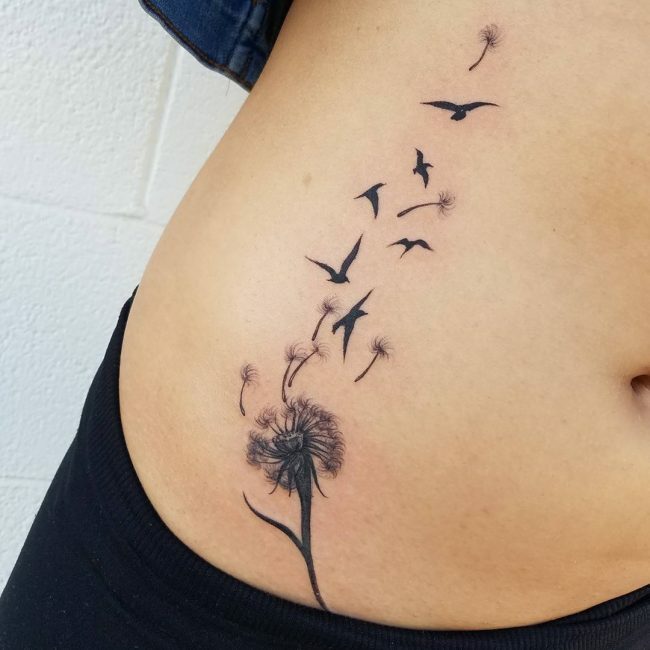 The tattoo means, just as the dandelion are turning into birds; our dreams can also turn into reality. Quite an inspiring tattoo there! Since dandelions are used to symbolize hope, a dandelion drawn alongside a quote of hope can be a very good tattoo. This is applicable to both men and women, It is simple to make and at the same time having a powerful meaning. It is always encouraged to have a tattoo that has some meaning. 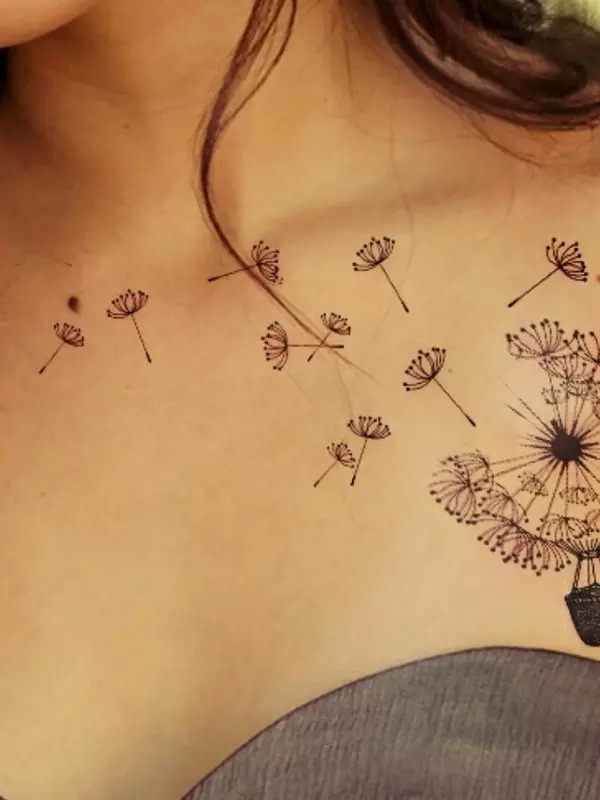 A neck dandelion tattoo is designed by having a tiny dandelion drawn on a person’s neck. The neck is very delicate and since the dandelion is also delicate, when drawn on the neck, it could be used to symbolize innocence. However, in this case, it is only the person wearing it who understands what form of innocence he or she wants to symbolize. Again this tattoo could have the same meaning as any other tattoo described above. Its placement on the rib makes its look good especially on a ladies body. It makes a lady look pretty and thus it has become very popular. The shape of a dragonfly is so common, when a dragon fly is drawn together with a dandelion; the tattoo achieved is so great. It may look fierce to some people but it is absolutely cool. However, the designer must blend the colors properly so that the shape achieved does not put off other people. This is one of the dandelion tattoo that is common among men. It is used to symbolize hope. The ability of dandelion and dragon fly to fly gives one hope that can also fly to the heights he aspires. It’s a tattoo that portrays creativity. In most cases, water is used as a symbolism of life. 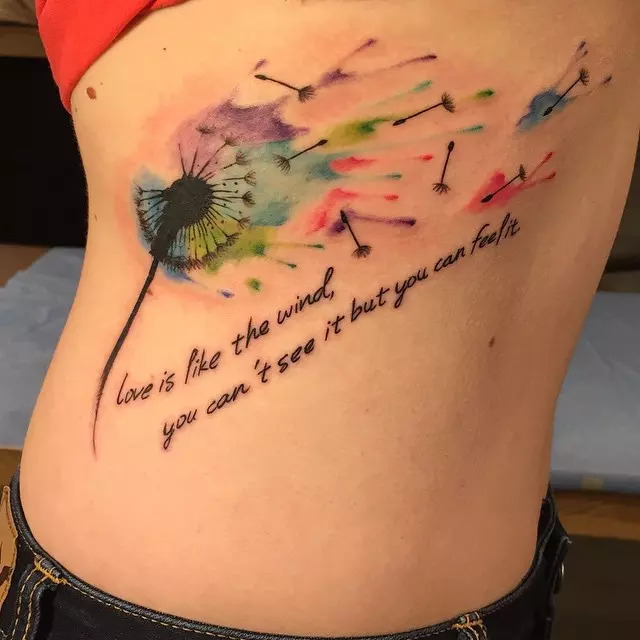 A dandelion tattoo drawn with a water color is used to mean life. This tattoo is applicable to both men and women. The person who came up with this tattoo must have been very creative. Most ladies always like to incorporate a flower in any type of a tattoo. Dandelion tattoos blend so well with a rose flower. A rose flower is drawn instead of the seed of the dandelion. In fact, the flowers look like pin heads. It is a good idea. 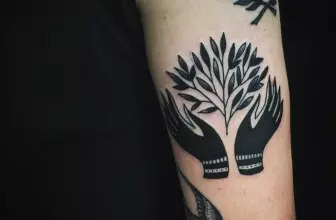 After all, tattooing is all about creativity and coming up with a unique design. 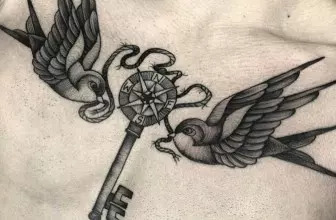 This is very similar to dandelion turned birds tattoo. It is also used to inspire someone that his or her dreams are valid. Just as the dandelions are turning into butterflies, here dreams can also turn into reality. The butterfly makes the tattoo more appealing and classic. This tattoo is very common amongst women as it adds value to their beauty. It is normal that men will not like butterflies. All the same, the designer was creative since it is a very nice tattoo. 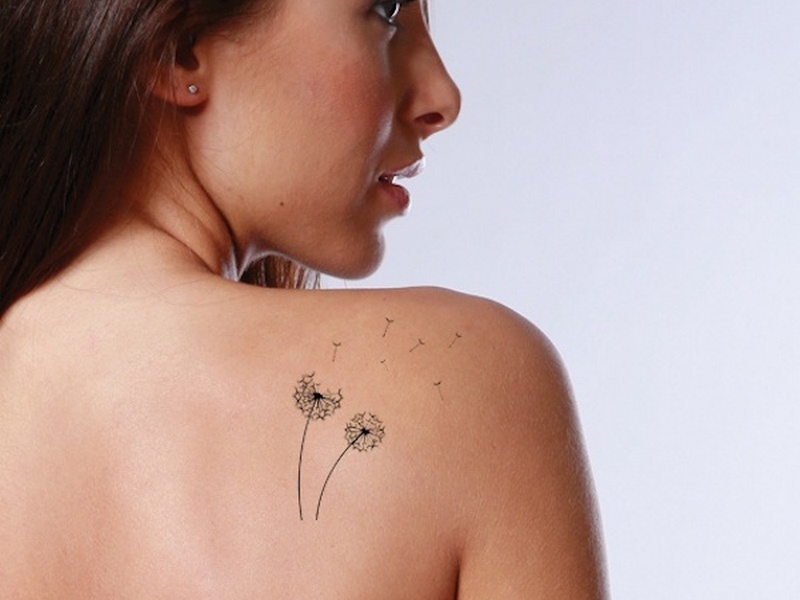 Having a dandelion tattoo with its seed flying over it on the chest is also an amazing idea. This however is mainly practiced by ladies. The dandelion and the flying seeds form a flower like shape which makes it look nice. Again it is very simple to design and fits best those people who like simplicity. Though being considered simple, it is very elegant. 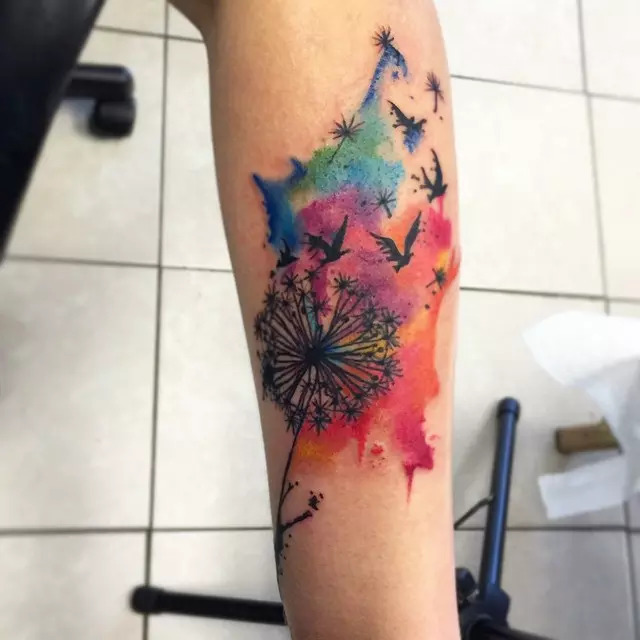 Having considered all the above types of dandelion tattoos, it is good to note that these types of tattoos are mainly classified according to where they are drawn. However, before you consider having one, do a research to understand its meaning so that you can identify if it fits. It looks nice to have a tattoo, but it is of much value if that tattoo inspires you to be better or to do greater things.